We look forward to the deliciousness of the holiday season for many reasons – special meals and drinks, seasonal treats, feasts with friends and family, and goodies galore all make the holidays a tasty time of year. But the same holiday foods we love to celebrate with are no celebration at all for dogs and cats, and can even be dangerous to our pets in many unexpected ways. By understanding the top holiday food dangers for dogs and cats, pet owners can celebrate safely with their furry companions. There are many different ways holiday foods can pose dangers for dogs and cats. The more alert pet owners are to these dangers, the easier it will be to protect pets and ensure they have a safe, healthy diet throughout the holiday season. Toxic Contamination Poisoning and toxicity is the most familiar danger of many favorite holiday foods. Treats like chocolate, alcohol, pistachios, and macadamia nuts, and even spices such as garlic, salt, and nutmeg can all be highly toxic to cats and dogs. Even options that may be healthier to humans, such as zero-calorie sweeteners, are dangerous for pets. 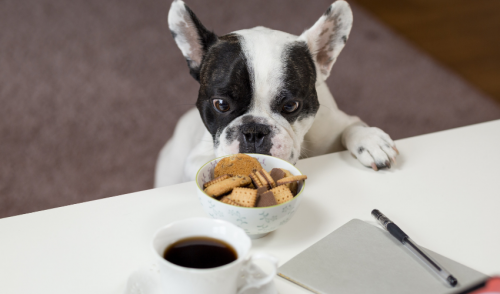 Depending on the amount ingested and the pet’s individual reaction, toxic foods and can cause liver and kidney problems, seizures, heart failure, and death. Digestive Upsets Even if holiday foods aren’t extremely toxic for pets, excess treats can cause digestive difficulties that lead to vomiting and diarrhea. Too much fat or grease, such as gravy, poultry skin, and fat trimmings, can upset a pet’s digestion and cause these unwanted consequences. If left unchecked, this can also lead to dehydration and other health complications. Choking Hazards Some holiday foods can cause inadvertent choking problems for pets. 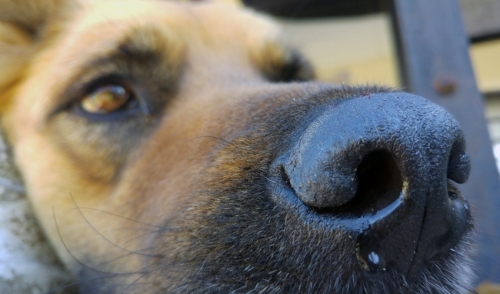 Nut shells, fruit pits, and soft, discarded bones can all create problems if pets ingest them. If the pieces are broken, the sharp edges of shells or shards of bones can create cuts and other injuries in the mouth, throat, or digestive tract, leading to severe infections and internal bleeding. Allergies and Food Sensitivities Pets that may be allergic to certain substances can have adverse reactions to unexpected holiday treats that may include harmful ingredients. Some foods may even exacerbate allergic reactions and cause ongoing discomfort and difficulties for sensitive pets. Medical Interactions Pets on medications for other conditions, including heart irregularities, diabetes, or cancers, may have unwelcome side effects if they ingest the wrong foods. A medical emergency can put a damper on any holiday celebration, and it is best to keep improper foods away from pets with medical issues to be sure there are no unforeseen complications. Inedible “Foods” Some holiday items may seem like foods to cats and dogs, even if they aren’t actually edible. Colorful holiday lights, small baubles, garland, ornaments, and other decorations can seem food-like and may be accidentally ingested by curious pets. This can lead to choking, injuries, intestinal blockages, and other emergencies. Behavioral Changes The holidays are exciting, and if pets are surrounded by new guests that may be offering them treats, cats and dogs could exhibit personality changes due to stress or overexcitement. This could lead to food-related begging behavior or feeding aggression, traits that can take months to train out of a pet after the holidays have ended. Weight Gain Even if pets have no other adverse reactions to holiday foods, unwanted weight gain can be a serious danger. It doesn’t take much for a pet to pack on extra pounds thanks to excessive holiday treats, and because it may be harder to exercise in the winter, it can be very challenging to remove that extra weight before obesity-related health problems may arise. Fortunately, it is easy to protect cats and dogs from unexpected holiday food dangers. Sticking to a pet’s typical diet is essential, without adding potentially dangerous treats to the menu. If special, pet-friendly treats are part of the holiday festivities, the pet’s regular meals should be adjusted to compensate for the extra calories. Reinforcing behavioral training during the holidays can help minimize the risk of behavioral problems, and all guests should also be aware of what a cat or dog can and cannot have so they do not inadvertently put pets at risk. Open dishes of candies, cookies, and other treats should be well out of reach of pets, even if they are accomplished counter-surfers. Pets should always be watched carefully in case they do sneakily get into holiday treats, and pet owners shouldn’t hesitate to contact emergency veterinary care if there are any problems. With conscientious care, holiday foods don’t need to pose risks to four-legged friends and family members, and the holidays can be just as delicious as ever without creating hazards to pets.